Soldiers and police officers participate in the annual Canadian International Sniper Concentration at Canadian Forces Base Gagetown in New Brunswick in September. A new report looks at the long-term effects of training. The headaches, sleep problems, visual disturbances, balance problems, dizziness, ringing in the ears and memory lapses are symptoms familiar to troops who use explosives to gain access to military targets—or blow them up to eliminate the threat from bombs or improvised explosive devices (IEDs). They call it breachers’ brain, and it has been shown to be the result of mild traumatic brain injury (mTBI), commonly called a concussion, caused by exposure to blast waves. In athletes, concussions are usually caused by head trauma—hockey’s hard body checks, football’s tackles or the spills experienced by cyclists and skiers. But what was going on when Special Operations Force members started reporting concussion-like symptoms, even when not exposed to explosions or head trauma? The Department of National Defence screened special ops members for signs of concussion—balance issues, memory problems, headaches, dizziness, nausea, brain fog. 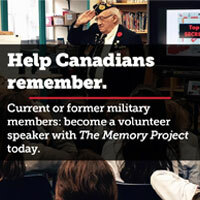 They found compromised visual and verbal memory, visual motor speed and reaction times. Initial findings were reported in a poster presentation at the Canadian Institute for Military and Veteran Health Research forum. 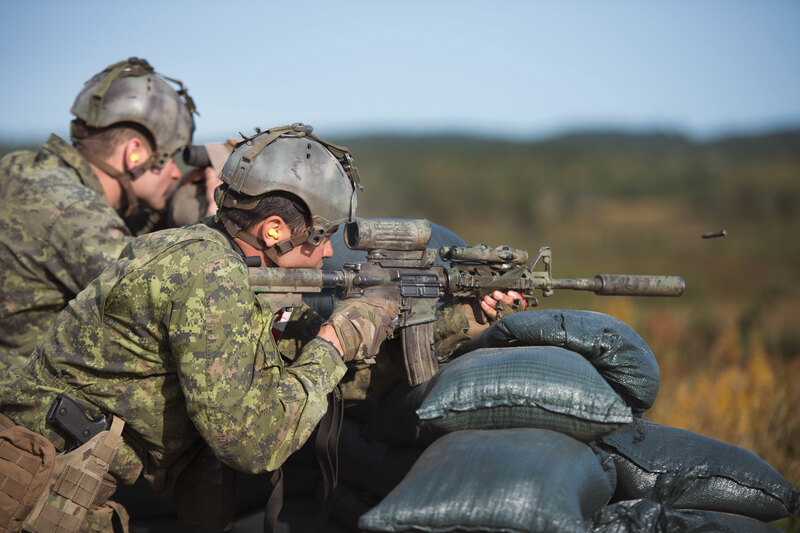 Although there is an overlap of symptoms, “there are also consistent differences between breaching and sniping, indicative of two separate mechanisms of injury,” said the report, written by military physiotherapists and physicians. Could there be an mTBI that can be identified as snipers’ brain? The Canadian military sniper training program is reputed to be the best in the world; Canadians currently hold three of the top five confirmed longest kill shots. In 2017, an unidentified Joint Task Force 2 sniper in Iraq using a McMillan TAC-50 rifle had a confirmed 3,450-metre shot. In Afghanistan in 2002, Master Corporal Aaron Perry of the Princess Patricia’s Canadian Light Infantry broke a 34-year record with a shot of 2,310 metres, followed smartly by his comrade Corporal Rob Furlong’s 2,430-metre shot, a world record until 2009. A lot of skill is required to make those shots. The sniper has to adjust for gravity, air resistance, wind, and in the longest shots, even the planet’s rotation. That kind of accuracy comes only with practice. Lots and lots of practice. Which means plenty of exposure to small jarring forces, forces that may cause minor damage that goes unnoticed at the time, but allows an injury to grow incrementally over time. It is unclear whether long-term exposure to rifle shots causes cumulative damage, though the report does mention that Canadian snipers are more affected than their U.S. counterparts, and speculates that is because they are exposed to rifle fire more frequently and over a longer time span. Results “are concerning and suggest a causal link between repetitive, low-magnitude forces and mTBI-like syndromes.” However, it is difficult to diagnose it as concussion, said the report, due to lack of exposure to blast or head trauma and because the symptoms are associated with other disorders, including operational stress injuries, stress and other factors. For instance, is memory decline the result of injury, or simple aging? “In many of our soldiers, symptoms were subtle, and/or accepted as a standard hazard of their job,” said the report. Now that a problem has been identified, preventive measures can be used, although the authors caution it is too early to know which does the best job. Finally, although the focus of this screening program was snipers, other soldiers exposed to repetitive, low-magnitude traumatic forces may also be at risk, the authors warn. A 2018 U.S. study suggested that shoulder-fired weapons, like anti-tank rockets, carry a punch that can cause mTBI. It studied weapons also used by Canadian troops, like the Carl Gustaf recoilless rifle, which produces a blast wave upon firing that ripples through the skull, increasing pressure in the brain and resulting in traumatic brain injury. It may not produce the boom of an anti-tank weapon, but the explosive force required to propel a .50-calibre bullet about the size of a large cigar from a sniper’s rifle still packs a wallop. “The concussive blast is what really sets the 50-Cal apart from lesser guns,” says one gun enthusiast’s blog. “You can feel the force of the massive bullet leaving the barrel, forcing a large volume of gases out.” But is that enough to cause mTBI? A decade ago, the Swedes studied blast overpressure from artillery, anti-tank weapons, underwater charges and high-calibre military rifles used by snipers. They found small brain hemorrhages in pigs exposed to .50-calibre rifle fire and bazooka-like firing, and with much less exposure than military personnel experience during training. Even though the studies were done on animals, not military personnel in protective gear, the Swedish Armed Forces took the precautionary step of restricting the number of times troops can trigger shoulder-fired weapons each day. Other militaries followed suit. Concussion is a common military injury, but is not well understood. What is known is that any brain injury breaks down the electrical pathways and chemistry between brain cells—but how does the injury happen, is it a different injury for breachers and snipers, and at what point does this result in permanent deficit? The answers to those questions will reveal how best to protect troops from damage that may last long after their careers are finished.